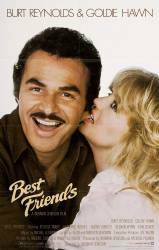 Continuity mistake: When Burt Reynolds and Goldie Hawn are left alone to write the final scene to a movie, Goldie says she needs air, so Burt takes a trash can and breaks out a window. In the next shot, more of the window is broken out than was shown previously. Larry Weisman: Commitment. Discipline. Make it work.